Formerly known as Ernie Shore Field, the park was home to Winston-Salem's Carolina League minor league team for more than 40 years. Wake Forest took control of the facility after the team, now known as the Winston-Salem Dash, moved in to a new downtown ballpark. 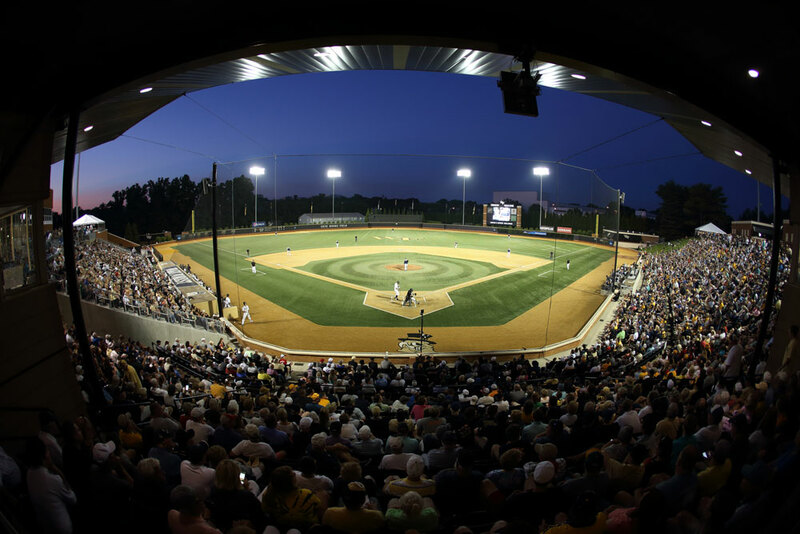 Located in the shadow of BB&T Field and adjacent to the Lawrence Joel Veterans Memorial Coliseum, Gene Hooks Field at David F. Couch Ballpark has undergone extensive and continuous renovations since the Deacons moved in. 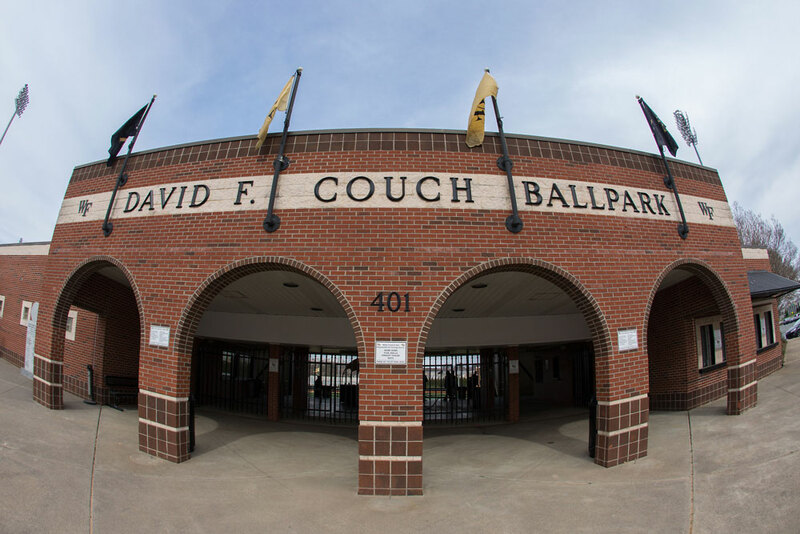 In February 2016, Wake Forest baseball park has been named David F. Couch Ballpark in honor of former baseball player David Couch ('84). 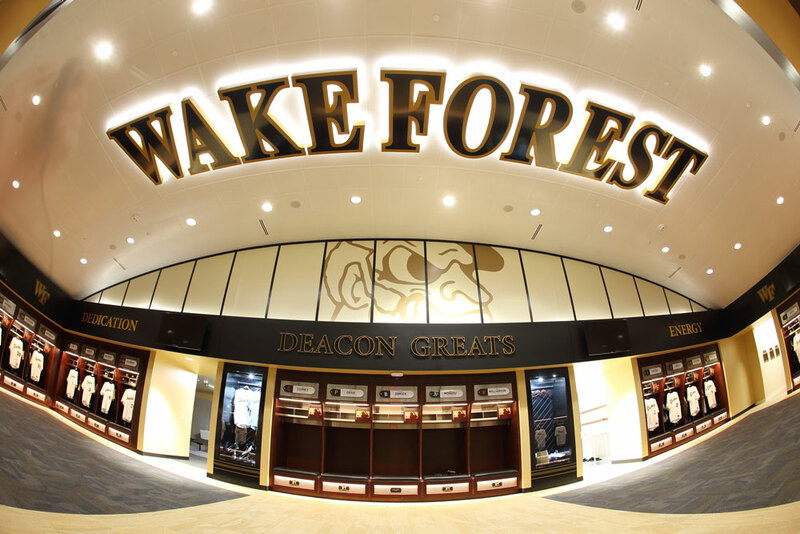 A longtime supporter of Wake Forest Athletics and the baseball program, Couch made the lead gift toward the new $14 million Player Development Center, which opened in February 2017. Along the third-base line, the 41,000-square foot facility includes a team locker room, lounge, training room, equipment room, a full kitchen, professional players locker space, also including renovation and relocation of the home dugout and bullpen and construction of a pitching laboratory, complete with 18 high-speed cameras designed to analyze the biomechanics of each player. Future additions will include a video conference room, team meeting room, coaches offices, a Wake Forest baseball heritage area and an indoor batting facility. Fundraising efforts are still underway for future phases of construction and renovations to David F. Couch Ballpark, including the 100'x100' indoor batting facility, which will be adjacent to the player development center and will be constructed without interior supporting posts, giving the Wake Forest coaching and training staffs maximum flexibility in their use of the space. 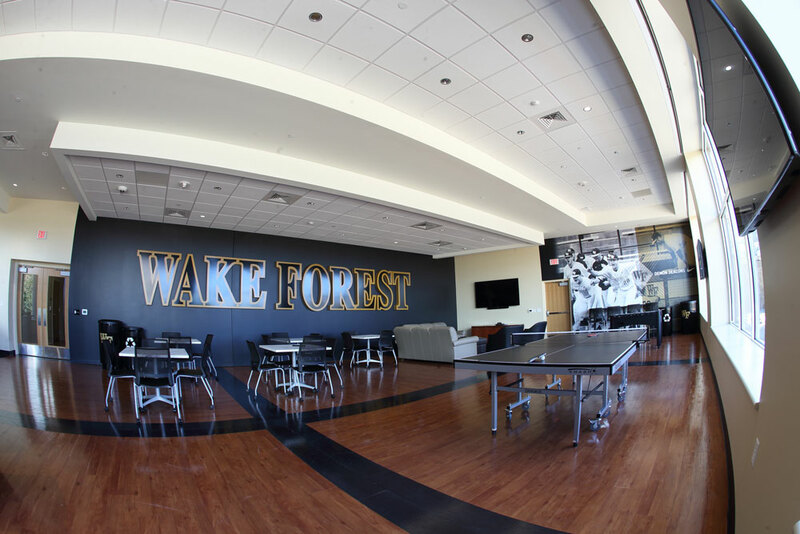 Above the facility, plans call for renovations to the concessions stands and restrooms as well as a concourse-level viewing area that could be utilized for both Wake Forest baseball and football games and for other special events. 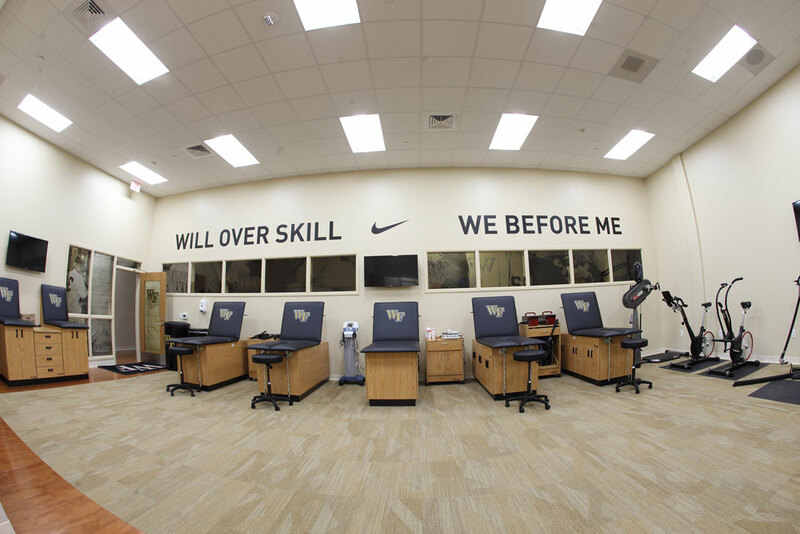 In 2015, Wake Forest converted its visiting locker room into a state-of-the-art weight room facility. 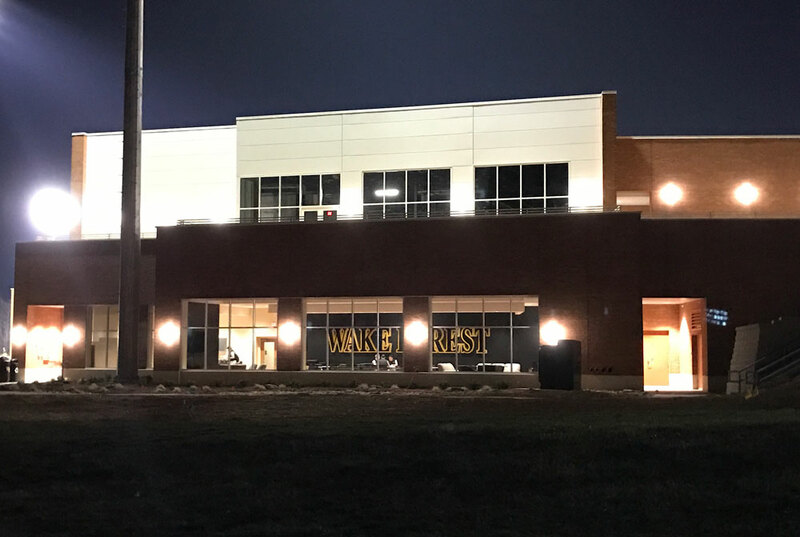 Complete with benches, squat racks, dumbbells, plyometric equipment, and more, the weight room allows student-athletes to get all their work in without having to leave the stadium. The Demon Deacons replaced the multi-colored chairback seats prior to the 2013 season, substituting modern all-black seats instead. In June, 2012, Wake Forest also completed the installation of a large-screen LED video board. The 18'x24' display offers pristine color clarity and brightness from every viewing angle. It has the ability to show one image or break the screen into several boxes highlighting both statistical information and game footage along with graphics and advertisements. A massive construction project was completed prior to the start of the 2011 campaign. The project included replacing the natural grass playing field with a synthetic surface. The Deacons now play on AstroTurf GameDay 3D52H Grass, which is composed of polyethylene fibers and a base of rubber granules and sand. The surface, which covers the entire field except for the pitching mound, gives the Deacons a top-notch playing field all year round, regardless of the weather. The 2011 construction project also included the installation of a manual scoreboard in left field. The scoreboard features a Marine-grade plywood front with Plexiglass openings for viewing the inning-by-inning and game scores. The scoreboard has LED lights for balls, strikes, outs and hit/error denotations, and it also has a climate-controlled interior. The manual scoreboard requires 191 individual signs to cover all possible variations of scores and team names. The outfield wall was also lowered from its original height of 24 feet to eight feet. Instead of a traditional dirt warning track, the synthetic outfield surface rises gradually near the wall, allowing outfielders to know when they are approaching the wall. Another addition to the facility was the construction of a climate-controlled indoor hitting facility, which was finished in early 2010. The facility, which Wake Forest players have access to 24 hours a day, can accommodate up to 10 hitters swinging at one time and also includes a natural clay mound for pitchers to throw off of. The facility also features two state-of-the-art home plate programmable pitching machines. 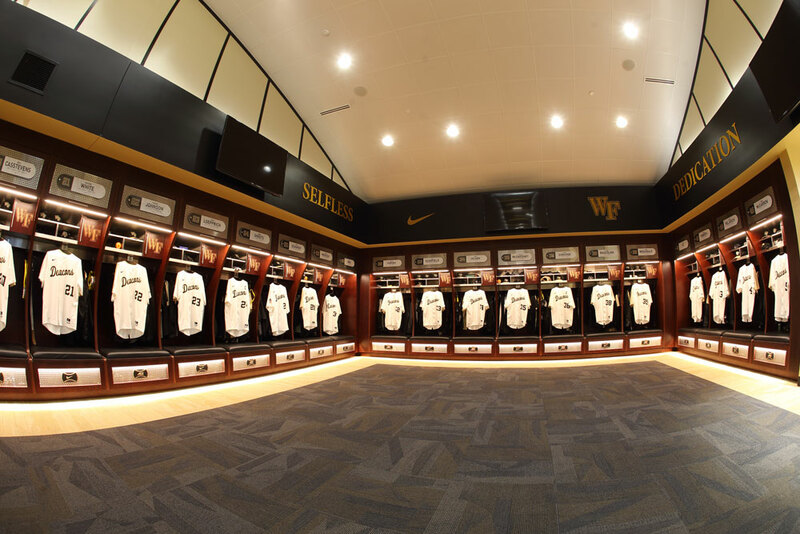 Wake Forest players also have access to state-of-the-art technology with the Trackman Pro video system with cameras set up on both the first and third base dugouts, center field and behind home plate. The system allows hitters to view their swings and pitchers their pitching motions following each game, and tracks 27 different data points varying from pitch velocity to spin rate to launch angle.